Avi and Prab’s wedding in Thailand was a sparkling affair with a waterfall of fireworks, a secret stage entrance, and pheras on the beach. 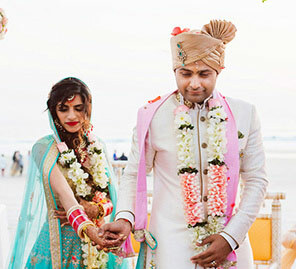 Avi and Prab hosted their wedding in Thailand which was planned by WeddingSutra Favorite - Shanaya Celebrations. Their fun celebrations in the hospitable ‘Land of Smiles’ had everyone beaming all through the various functions. 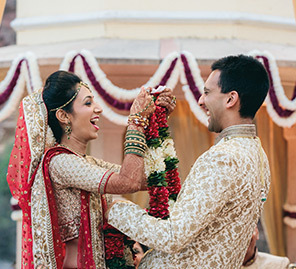 Take a peek at some of the highlights and memories beautifully captured by WeddingSutra Favorite Koro Films. 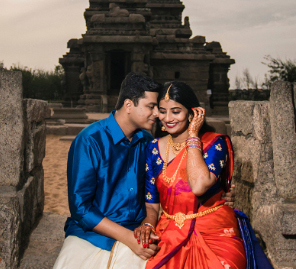 Both born and raised in London, Avi and Prab met at school during an annual charity Diwali show which his and her schools were co-organizing. They became friends and stayed in touch for a while. The two even went to different universities in London where Prab studied dentistry while Avi did a management course. As their relationship flourished over the years, Avi decided to pop the question to his lady love and proposed to her on a private yacht on the river Thames by the Tower Bridge. One trip to Thailand for a site inspection and a billion Skype calls later, the couple decided on Sheraton Hua Hin Resort and Spa as their wedding venue. Located on a pristine beach along the southern border of Thailand, Hua Hin is a hidden gem. With outstanding Thai hospitality, diverse venues within the property and great weather for outdoor photo shoots, the resort had everything they wanted. The celebrations kick-started with a welcome dinner that incorporated a summer soiree theme. The bespoke decor had a rustic feel with fairy lights and wooden props and a live band that played soft music that created the perfect vibe for the guests. 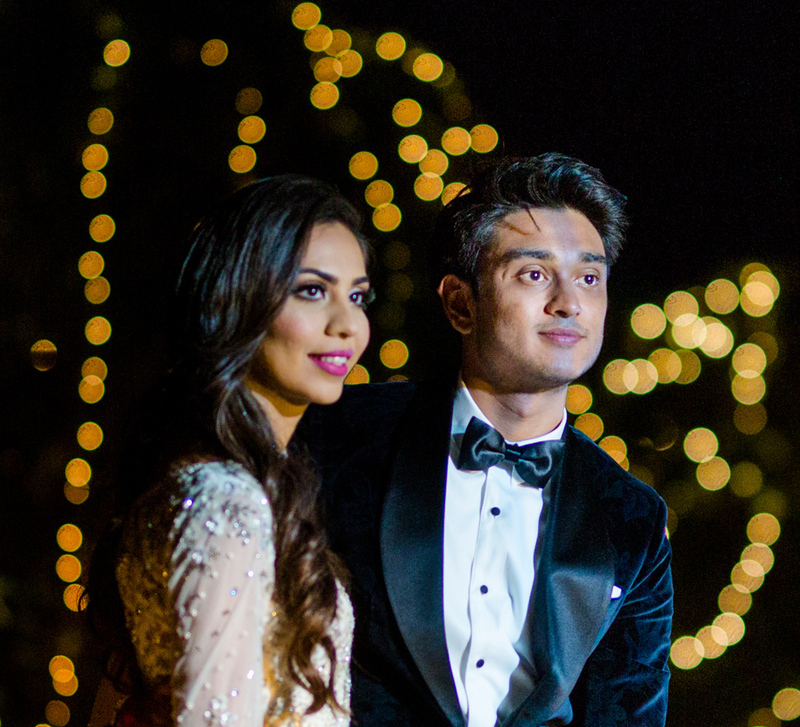 Avi wore a smart printed jacket, and Prab wore a midnight blue silk gown with a diamond and sapphire necklace. The Welcome Dinner was followed by a full moon after party at the Black nightclub. A neon-themed party with glow sticks, face paints and lots of shots had guests dancing till the wee hours of the morning. This regal theme of the sangeet witnessed a glamorous mix of blue, black and gold color palettes in the decor. The evening saw some fun dance performances by the bride, groom, family, and friends.